This page explores the meaning of the Eucharist in terms of Catholic engagement versus Protestant detachment. Jean-Luc sighed, and said to himself, That's what happens when you put theology in the hands of a repentant lawyer. No wonder the walls of their churches are bare. 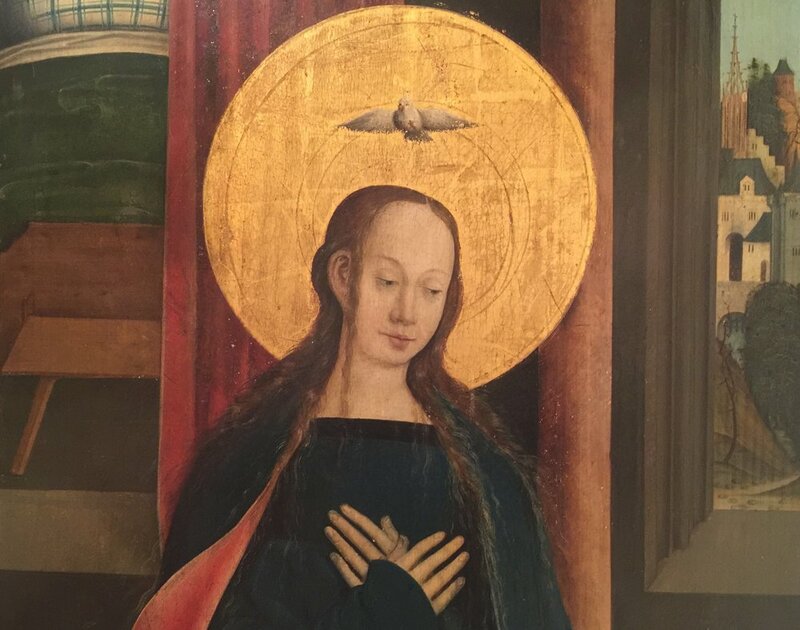 No wonder the Holy Ghost refuses to hover amid the gold and light of Mary's hair. In a dream Jean-Luc wandered fields of wolfsbane, viking's pom, and long purples. He took a deep breath of cold air, which smelled like oatmeal, and then walked slowly back to his stony church in the waste land of northern Scotland. John Luke looked at the bare grey walls and the tattered hymnal. A school of hard Knox, Geneva-bound. The First Blast of the Trumpet Against the Monstrous Regiment of Women, 1558. He no longer remembered the sound of Albinoni, deep in the cloistered chambers of the Vatican. Instead, all he could remember was the prose of Adam Smith (that other Adam) and the harrowing precision of James Hutton, who was the first to lay humanity in the bedrock of time. John Luke's bedtime reading was Hutton's Investigation of the Laws observable in the Composition, Dissolution, and Restoration of Land upon the Globe, read aloud to the Royal Society of Edinburgh in 1785.
with their cold northern sneer.